Pouco antes de morrer em 1996, Bill Monroe considerado o “pai do bluegrass”, confidenciou a Ricky Skaggs, 64, seu discípulo e protegido, que temia que o estilo ao qual ajudou a criar na década de 30 caísse no esquecimento. Naquele dia Skaggs prometeu a Monroe que faria de tudo para manter a chama do bluegrass sempre acesa. Poucos anos mais tarde o primeiro passo foi dado com a fundação da gravadora Skaggs Family Records especializada no estilo bluegrass e uma das únicas que lança discos tanto em CD como em Vinyl. E as coisas não pararam por ai. Essa semana na conferência dos indicados ao Bluegrass Music Awards 2018 que será realizado em setembro em Raleigh, NC, Ricky Skaggs foi anunciado como o mais novo membro do Hall da Fama do Bluegrass. Skaggs vai se apresentar no BMAwards com outra lenda do bluegrass Tom T. Hall, 82 anos de idade. “Parabéns a Ricky Skaggs e Tom T. Hall pelo impacto que cada um deles teve na música bluegrass, eles estão recebendo nossa mais alta homenagem, a introdução do IBMA Bluegrass Music Hall of Fame ”, disse o diretor executivo do IBMA, Paul Schiminger. O Museu Hall da Fama do Bluegrass no Kentucky, que conta com uma frequência mensal de 37mil pessoas, terá um novo local à ser inaugurado agora em Outubro. Fâs do estilo não gostam de ser taxados como sub-gênero da CountryMusic. O fato é que o bluegrass teve um sensível crescimento nos últimos anos com o surgimento de novos artistas, caindo no gosto popular. Originado no Kentucky conhecido como “bluegrass state” a música tem nos banjos e violinos seus elementos básicos. A Billboard mantém desde Julho de 2002 uma pesquisa com os “bluegrass álbuns” mais vendidos da semana e naquele primeiro mês no topo esteve The Soggy Bottom Boys – Constant Sorrow, do filme “E Ai Meu irmão” estrelado por George Clooney. O filme sem dúvida deu um grande impulso para angariar mais fãs ao estilo. O Bluegrass está presente na nossa programação todos os domingos as 11 da noite. Confira! 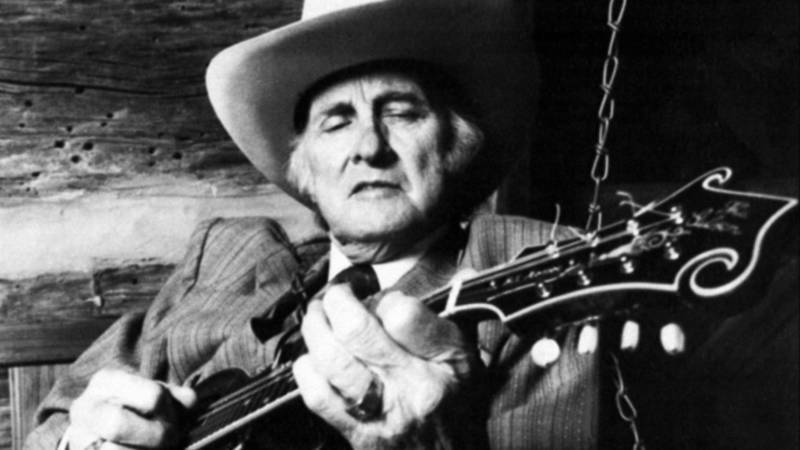 Shortly before dying in 1996, Bill Monroe was considered the "father of bluegrass," confided Ricky Skaggs, 64, his protégé and disciple, who feared that the style he helped create in the 1930s would be forgotten. Skaggs promised Monroe that he would do anything to keep the bluegrass flame burning. A few years later the first step was taken with the founding of the Skaggs Family Records label specializing in the bluegrass style and one of the only ones that launches discs on both CD and Vinyl. And things did not stop there. This week at the 2018 Bluegrass Music Awards nominee in Raleigh, NC, Ricky Skaggs was announced as the newest member of the Bluegrass Hall of Fame. Skaggs will perform at BMAwards with another bluegrass legend Tom T. Hall, 82 years old. "Congratulations to Ricky Skaggs and Tom T. Hall for their impact on bluegrass music, they are receiving our highest honor, the introduction of the IBMA Bluegrass Music Hall of Fame," said IBMA Executive Director Paul Schiminger. The Bluegrass Hall of Fame Museum in Kentucky, which has a monthly attendance of 37,000 people, will have a new venue opening in October. Country Fans do not like to be branded as a sub-genre of CountryMusic. The fact is that the bluegrass has had a sensitive growth in the last years with the emergence of new artists, falling in the popular taste. Originated in Kentucky known as "bluegrass state" music has in banjos and violins its basic elements. Since July 2002, Billboard has been researching the best-selling "bluegrass albums" of the week and in that first month at the top was The Soggy Bottom Boys - Constant Sorrow, from the film "Ei Mii" starring George Clooney. The film certainly gave a big boost to get more fans to the style. Bluegrass is featured on our schedule every Sunday at 11pm. Check out!